I immediately fell in love with these H&M mule sandals when I first saw them in Summer 16 campaign bilboards. Colorful, cheerful and trendy.. I love the tassels. They make huge difference with all these simple sandals. Height is also incredibly comfortable. Because I am that girl who wants to wear her shoes all day long. It is important to have comfortable heels. Some pieces are classy even though they are trendy. I can see myself to wear these shoes for years. I have two shoes like that from Mango and I wear them for 5 years this summer. I am neat person when It comes to shoes. I have so many shoes that are in very good condition and I can wear them for years. I want to show you my spring summer spirit as much as possible with my pattern mix matching game. I love to use pop color time to time. I am all over the place with my style. Some might think that I am gemini with changing spirit but I am not! But I already give my hint about my sign. This season I love so many shoes. I don’t know how to settle down with few shoes. I need to write about my favorite pieces of the summer. I recently bought a Sam Edelman espadrilles. I am Espadrille girl. I was on hunting to find the very best. This year has been crazy with all these beautiful styles from Soludos, Manebi and brands like Sam Edelman. Even though I put my eyes on espadrilles I am the true heel girl. I need to show more style like this. Most of my shoes are all different kind of heels my favorite is this kind of heels stiletto heels. 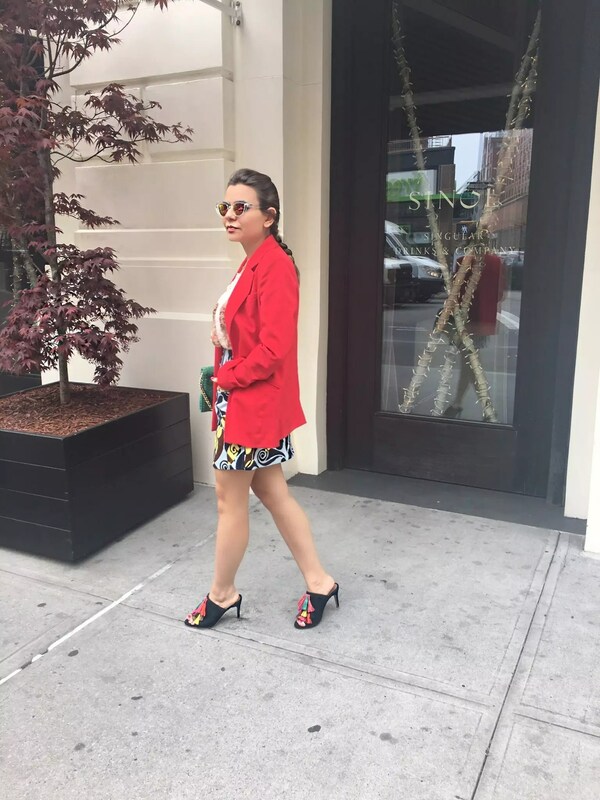 What do you think about my new favorite H&M mule sandals and colorful look?